Erik joined Brinker Simpson & Company in 2015, shortly after receiving his Bachelor’s of Science degree in Accounting from Salve Regina University. During his 3 years, Erik has focused his responsibilities in the Audit and Attest Services group with concentrations in the following industries: manufacturing, wholesale distribution, construction, software development, not-for-profit, professional service, healthcare, and government. He also has experience in the audits of employee benefit plans. Additionally, Erik is involved in the preparation of individual and corporate tax returns, as well as payroll and sales tax returns. 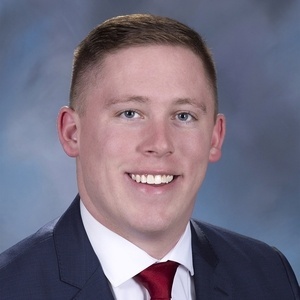 Erik is an active member of the PICPA, Delaware County Chamber of Commerce, Delaware County Young Professionals Group, and is a graduate of the Delaware County Chamber of Commerce Business Leadership Academy. Erik is currently pursuing his CPA licensure. Erik was born and raised in Springfield, Delaware County. In his spare time, he enjoys sports, working out, fine dining and spending time with family and friends.